Here at MStyle, we have thousands of performance and styling options available for various BMW, Mini and Range Rover models. From superchargers to tuning modules, remaps and exhaust modifications to headlight upgrades, carbon parts and sleek body kits in a variety of finishes – we are able to supply, paint and fit your desired modifications at our large facilitated workshop. 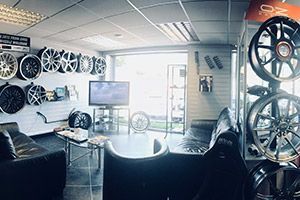 Located conveniently near the M25 based in the North East London/Essex area, we have a comfortable showroom where you can enjoy hot refreshments and some automotive entertainment while you wait. Or if your modifications require a longer wait, we will be happy to drop you to the local town or station to make your visit as relaxed as possible. Not sure what you want to do with your vehicle? Our specialists are keen BMW enthusiasts themselves and will be happy to assist you with any queries or advice on how to enhance your pride and joy. Keeping up to date with the latest offers and trends in the automotive industry is key. We price our products competitively and rarely can be beaten so we always to do our best to price match if not better! Furthermore, if you have seen something that you like but can’t find on our website, we’ll be happy to look into finding the best product and price for you. We also understand that car maintenance can be costly so we do offer finance options that can ease the payment process for our customers – it’s all part of our service and mission to bring the best BMW Performance to our customers. Not looking to modify your vehicle in any way? MStyle is also able to provide BMW servicing, MOT’s and repairs – whether it be mechanical or bodywork, no job is too big, neither too small. We also have a diagnostics team that can give you all the facts about any nasty knocking noises or unusual engine burbles that have you worried. We give you all the options in order to help you choose your next steps and get you back to peace of mind. Want to know more? Check out in more detail here under our section ‘What We Do’ or call us today on 0208 598 9115 and we will be happy to help!